We have chosen the best All-Inclusive Five Star Golf Resort Hotel in Mauritius to guarantee the best holiday. From the airport, clients will drive 45min to the Hotel in our comfortable vehicle and experienced drivers. The Awali Hotel is located in the south where the authenticity of Mauritius have been preserved contrary to the other locations. The Deluxe room has a view on the garden and can accommodate up to 3 Adults and provision baby cot is possible upon requests. The Awali Golf Resorts offer to his guests a world-class golf course, Heritage Golf Course, designed by Peter Matkovich. 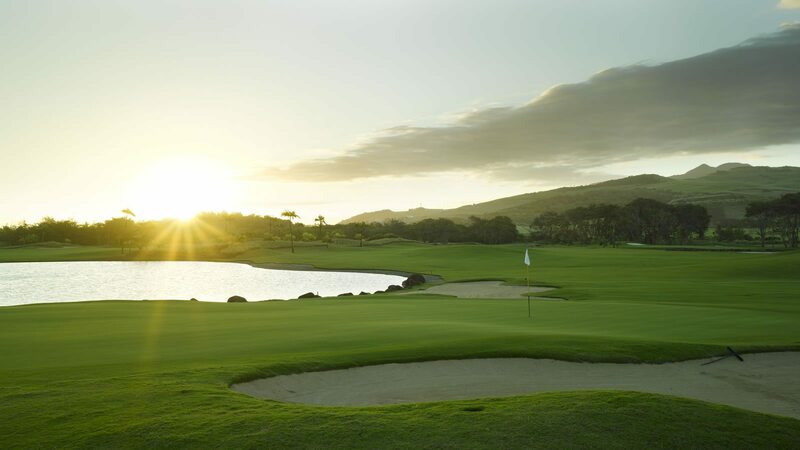 The Heritage Golf Course has held the first ever tri-sanctioned tournament endorsed by the European, Asian and Sunshine tour in May 2015 and rated best golf course in Africa by Golf Digest for the year 2016. Clients can benefit of a free round of golf per person and per day at Heritage Golf Course. However, clients can benefit of unlimited green fee at the par 3 short golf course of Heritage. The Awali Hotel and Heritage Golf Course are only 2km away and bus shuttle free of charge is at the disposal of the guest for their golf game and back to hotel. The Awali Hotel offers five different restaurant in the resort including the C-Beach Club. The all-inclusive hotel includes fitness classes (Aqua aerobics, stretching, and swimming), sports classes (Golf, tennis, and badminton initiation) and mini-golf, ropes and tyroleans traverse at C-Beach club free of charge for the guests. Frequent shuttle to its 18 hole championship golf course, Heritage Golf Club with one daily free round of golf.